The ECS Barrel Brush enables you to thoroughly clean the interior of the extruder barrel, in an ergonomically sound and safe manner. ECS brushes are used for a range of extruder types and models, including both single and twin-screw extruders. 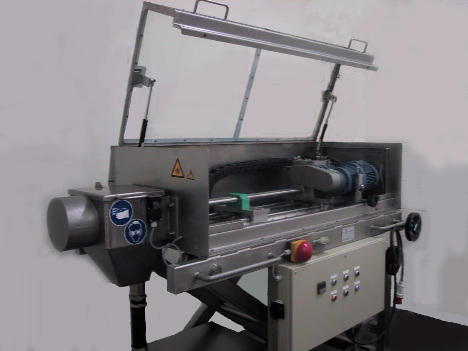 The machine is of course manufactured entirely in accordance with all applicable CE regulations. The rotating brush(es) move(s) in and out of the extruder barrel, via a spindle drive. The type of brush and the required brushing time depends entirely on the nature of the contamination and the requirements imposed.